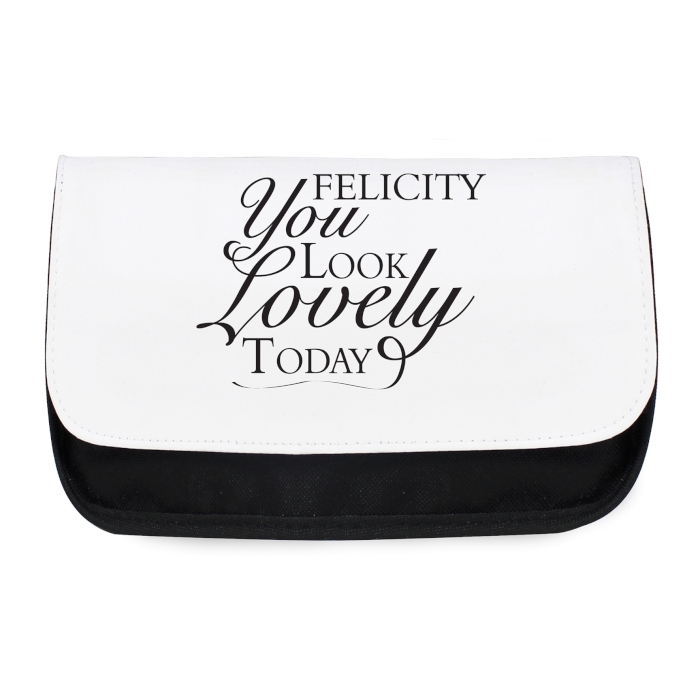 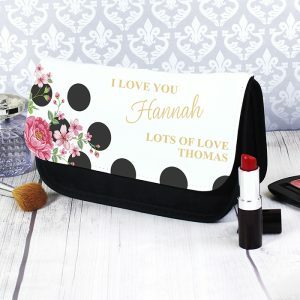 Our "You look lovely" makeup bag is a wonderfully unique gift for her. 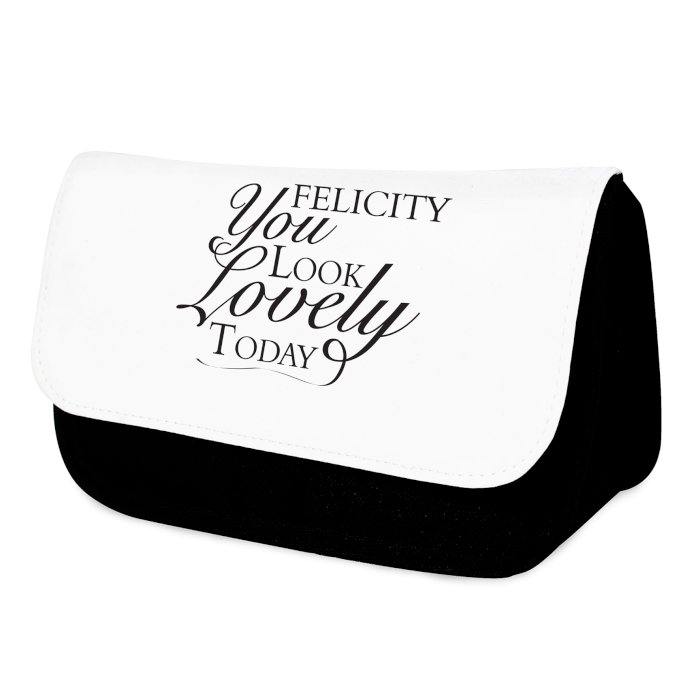 The words "You look lovely today" are a fixed part of the design. 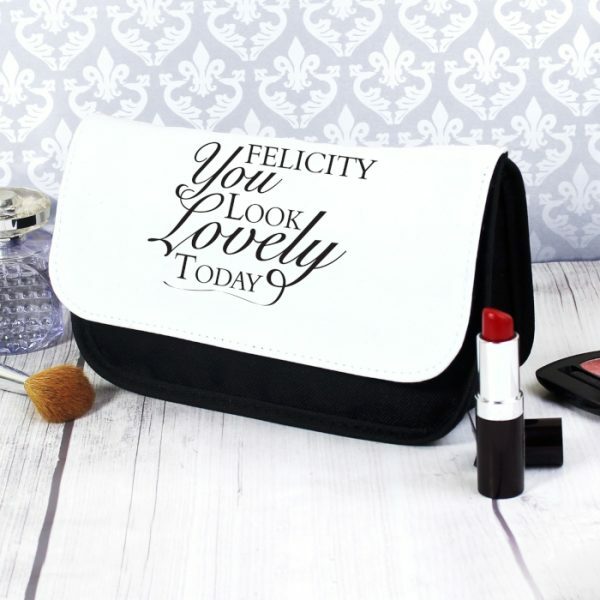 Our makeup bags features a main compartment and two separate compartments inside all of which are secured with a hook and loop fastening, the main body of the bag is a woven polyester.